To participate in any of our programs listed below, individuals must complete an application which includes a physician’s approval and disclosure of any complications. Our highly-trained staff looks forward to providing you with the highest quality of services available. 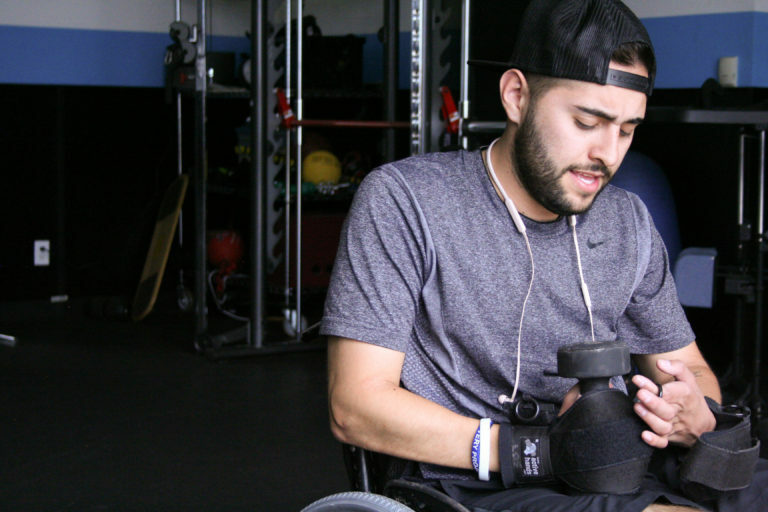 NeuAbility offers a safe, high-intensity program designed to promote overall wellness & quality of life for individuals affected by paralysis. 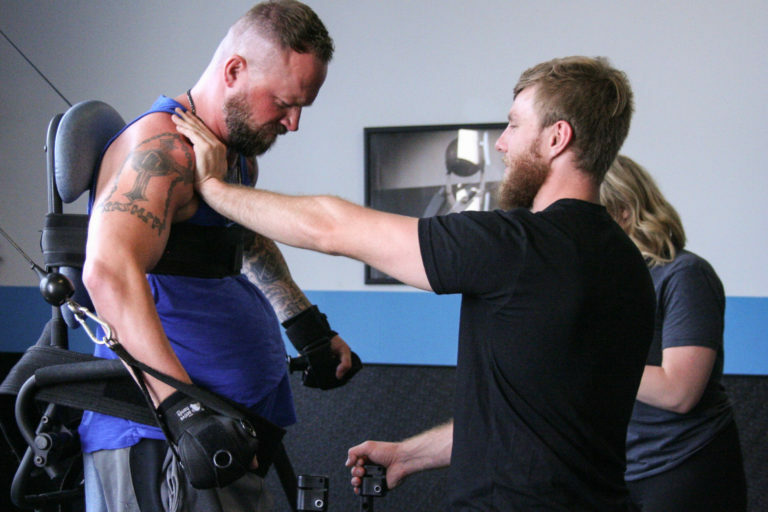 Our Adaptive Exercise Specialists provide one-on-one, exercise-based programs tailored to meet individual needs for participants of any age, appropriate during any stage of rehabilitation. This comprehensive, total-body program empowers participants to maximize their strength, confidence, and independence. Additional charges will be assessed for FES pads. Through Medicaid and the HCBS-SCI waiver, we offer alternative therapies that include acupuncture, chiropractic, and massage therapy. To verify your eligibility and enroll, visit: State of Colorado Healthcare Policy and Finance for SCI Waiver. These services are also available on a private pay basis, for individuals who don’t qualify under the given criteria. In four years as one of the program’s exclusive providers, we have seen tremendous results related to a wealth of secondary conditions. We are excited to see the progress of our participants and the program itself as the years go on. NeuAbility encourages you to explore these services, as they have proven to be life-changing for the individuals using them. For information on this program or to find out how to schedule an appointment, please contact us at info@neuability.org. Open Gym offers members the use of our state-of-the-art facility and adaptive exercise equipment to use at their own pace. The Open Gym program is open during regular business hours and gives individuals access to weight-bearing equipment, weight and cardio equipment and can be combined with one-on-one sessions (at no additional charge) to maximize value. Participants can choose to sign up for a comprehensive package which includes our accessory programs: such as yoga, circuit courses and professional-led group discussions.